When you think of Adelaide and museums the first thing that comes to mind is the South Australian Museum, but we've got plenty more when you go a bit further. There's the Maritime Museum, the Railway Museum, the Migration Museum, the Tramway Museum, and the Museum of Childhood; that's just naming a few. 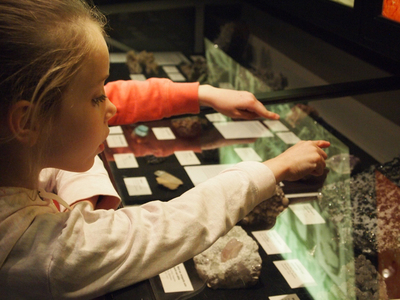 Which museum is the most fun for kids? Is it the mummies at the South Australian Museum or the ships at the Maritime Museum? Let us know which one is your favourite. I think the Maritime Museum or the Railway Museum are two of the best ones for kids, because it's so much fun to explore the old trains and ships. I like the South Australian museum because it's so easy to get to. But Port Adelaide does have some great museums.